The excitement of Christmas and New Year may be over, but that’s no reason to deprive yourself of fun times until February! Jetting off on a New Year break is a great way to banish those January blues, but even if you’re not planning a trip abroad, we can help put the smile back on your face wherever you’re headed! Experience Blackpool’s biggest attractions for just one great price – including the Blackpool Tower Eye, Blackpool Tower Dungeon and Blackpool Tower Circus and Madame Tussauds. It’s just the ticket for kids and adults alike! 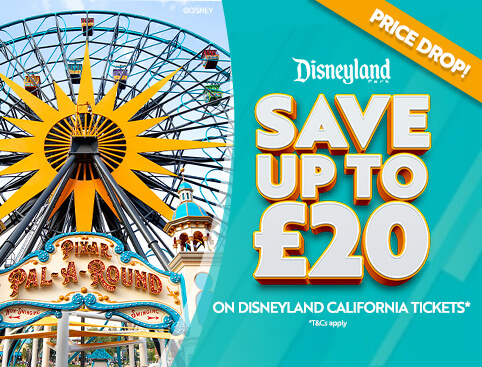 You don’t need to venture far for a good dose of Disney Magic – just hop across the channel to Europe’s own Disneyland Park – an incredible experience for both the young and the young at heart! There’s plenty to keep both you and the kids occupied on this Canary Island! 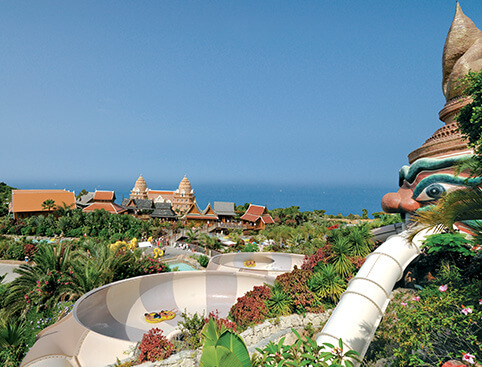 Choose from thrilling water rides at Siam Park, wonderful wildlife at Loro Parque, an evening of jousting and feasting at the Medieval Night and much more! Experience a show filled with glitz and glamour – in Benidorm! Benidorm Palace offers a visual feast filled with professional singing, dancing and the best showgirls in town – with a complimentary drink included. Taking the kids on a trip to Cali? Give them a holiday they (and you!) will never forget and visit some of the incredible theme parks like Disneyland and Universal Studios Hollywood. The ear-to-ear smiles will still be there months after you return home! However you want to kick off the coming year, we’re here to help – both in January and all year round!